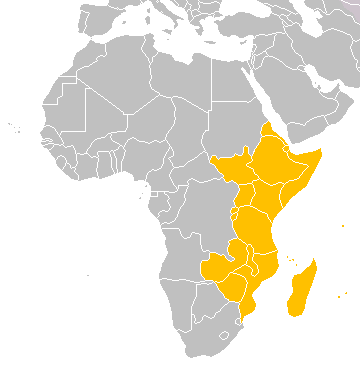 Serving a growing need for microgrids in East Africa, EnSync Energy Systems has brought to the market a stand-alone system. Its first solar and battery storage project is located in an area with no utility or supporting infrastructure. The microgrid will provide energy for a community that currently has no electricity. 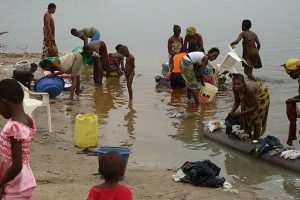 The project was sold to a buyer who will sell electricity to village residents via the microgrid, essentially serving as the area micro-utility. Sales will take place via a mobile phone-based payment platform. Africa as a whole is projected to contain 35,000 microgrids by 2021 that will serve as key electricity providers to millions of people who currently lack access, according to EnSync. The new system, to be commissioned this spring, will initially use less than its full capacity, allowing the microgrid to also provide electricity to nearby villages. The system’s software is designed to seamlessly integrate its power resources and optimize performance based on variables such as demand and weather conditions. Navigant Research’s Peter Asmus foresees a growing movement toward use of distributed energy to solve water issues. The shift is especially important to India. With a population over 1.3 billion, India is facing a health crisis due to unsanitary drinking water. 360 Power Group is providing a solution to the problem with a microgrid-ready potable water platform through a joint venture with Akshay Swachh Jal, which provides stand-alone water purification kiosks. The kiosks provide water directly to customers that is not only safe and chilled, but also is 95 percent cheaper than bottled water. “This platform can affordably and reliably provide power for purifying water continuously, without the reliability issues that come from the plagued electrical grid — especially during hot seasons in India, when the need for water is the greatest — and without the environmental and financial burdens associated with conventional diesel generators,” said Stephen Collins, 360 Power Group’s vice president of product development. The first installations will take place in Rajasthan, India, using 360 Power Group’s 15-kW power platform, invented and developed by its parent company, ClearWater Holdings. The platform is centered around a proprietary, three-magnetic-field generator with a modular design that the company says increases operating efficiency, decreases fuel consumption, and expedites on-site maintenance. 360 Power Group sees the technology as scalable and suitable for other applications. “In addition to water purification, this platform is well suited for nearly all applications requiring a continuous supply of affordable power in a compact package. The platform has ready tie-ins for complementary components including solar PV, batteries, and advanced microgrid controllers – and the core design of the platform can be scaled from 1 kW to MW scale,” Collins said. While its trend has been robust since 2010, solar industry jobs decreased slightly in 2017, according to the Solar Foundation’s annual National Solar Jobs Census. 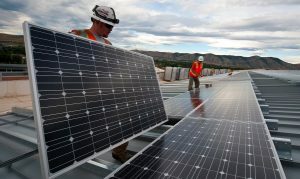 The census found that 250,271 Americans worked in solar as of 2017, a 3.8 percent decline, or about 9,800 fewer jobs since 2016. Overall, the solar workforce increased by 168 percent since 2010, from about 93,000 jobs to over 250,000 jobs in 2017. The National Solar Jobs Census is a comprehensive national and by-state report on U.S. solar employment trends. Bucking the general 2017 downturn, states with significant job gains include Utah, Minnesota, Arizona, Colorado, Pennsylvania, New Jersey, New York, and Tennessee. Solar jobs also increased in 29 states and the District of Columbia. California and Massachusetts, the states with the largest solar workforces, saw 2017 employment decreased by 14 percent and 21 percent respectively. The report also notes that while solar has about as many workers as the natural gas industry, it employs more workers than the coal and nuclear industries, based on 2016 data. However, the 2017 data shows the industry lost about 7,500 jobs in the sales and installation sector, and about 1,200 in manufacturing. Solar wages are above the national average and are similar to like industries. 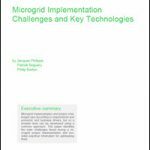 Track news about microgrids on Twitter @MicrogridNews. Great info! Have been following renewable energy developments for last 20 years. Just discovered your online newsletter. Will tell others interested in topic. Am from Haiti and would like to see minigrids in Haiti and in communities along the Amazon Basin. For more info on saving the Amazon, please contact me at yaniquej@yahoo.com.